There are lots of magnet in the market, but how to work with the different types of magnets? Like the neodymium magnet, ferrite magnet. 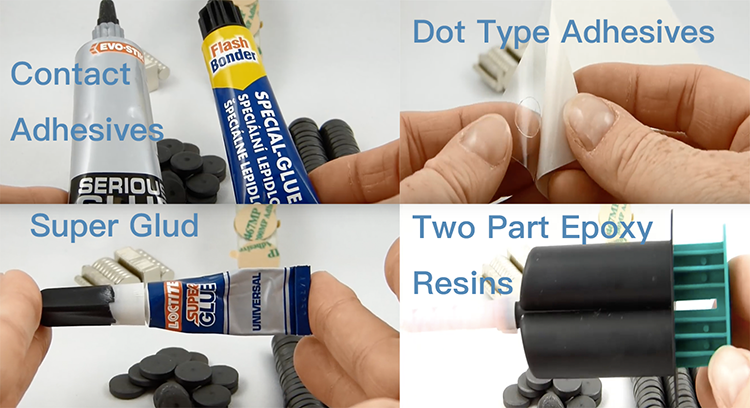 In this post,we would like to share you that what is different if we use different glues and adhesives. Even we will mention some specific glues. 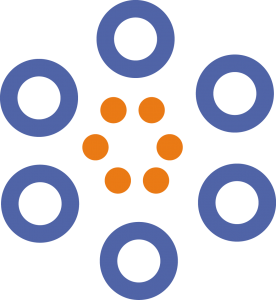 But as a professional magnet manufacturer, we don’t recommend any brand or any pratical glues. So before we start let us talk a little bit about our self-adhesive flexible magnetic strip. Ours is a premium product which uses the taser for 965 adhesives. This is protected by a pink or red plastic backing strip. The adhesive holds instantly but it achieves its maximum hold in about two days. Although taser for 965 is a strong adhesive， it can be defeated by the weight of whatever it is that it is stuck to. so the key to using self-adhesive flexible magnets is to keep it for lightweight applications. Right we’re going to start now by looking at ferrite magnets. These are sometimes known as ceramic or craft magnets. When you see these in craft shops，they usually have a dimple or a white spot on one side and this is to show you which side to put your a TC bond. We hope you can see the dimple there. The reason this has to be present is because with traditional crafting magnets. They are only magnetized on one face, the non-dimple face. So they will stick together that way , when you try to put dimple to dimple they don’t stick. 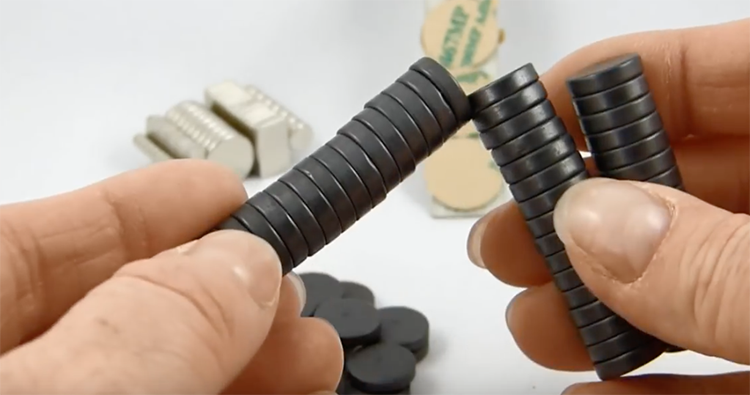 We stopped stocking these traditional crafting ferrite magnets in 2012 , because we were inundated with complaints that they were simply not strong enough. We moved to using a much higher grader Ferrite called c8 which are 2 to 3 times stronger and these are magnetized.So that one flat face is north and the other flat face will be south.This is your true regardless of whether or not this is a disk or a block or a ring.Ferrite magnets are extremely versatile and you can use almost any adhesive you want to. If you look at the tested in your local hardware or DIY shop, you will see the packaging usually tells you what each adhesive will work with. 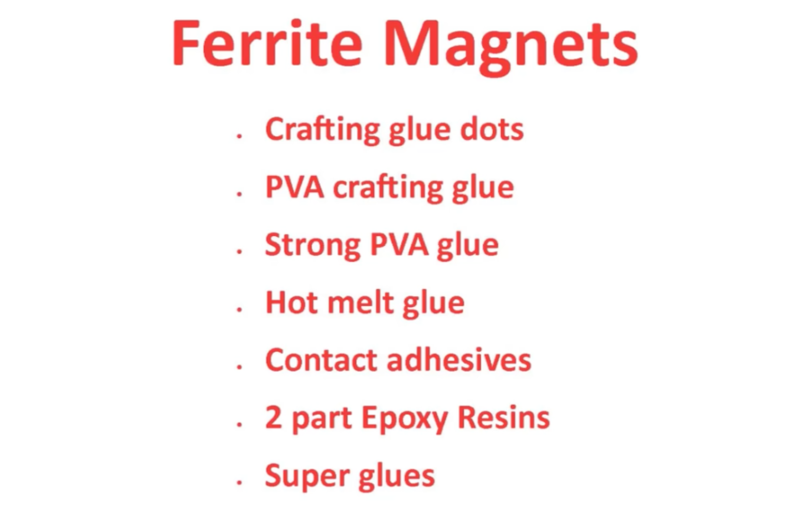 Ferric magnets can be cast as ceramics so you can use anything that will work on a ceramic. You just need to make sure that the item you are sticking the magnet to will work with the same adhesive. So, for example, you can use a traditional hot-melt glue gun， PVA crafting glue. Then there is the choice of using a strong PVA glue ，such as the no more nails range. Contact adhesives .Two-part epoxy resins or even super glue. You can also use sticky craft dot type adhesives. We don’t know if you can see this very well. These are produced by a company called fantastic other brands. Of course , magnets .available, you simply peel the backing and then stick the glue dot onto the magnet. Lastly, we’re going to look at neodymium magnets.These are the strongest magnets you can get and they can be very thin .Before you start looking at adhesives. We just want to remind you that neodymium magnets are extremely brittle and can and do break if they are allowed to jump together. They may look like solid metal but they are made from a sintered powder . So please do not attempt to flex them, bend them. They will snap in half. We have a range of self-adhesive neodymium magnets . These are sold in pairs as you can see that one side has got 3M 467 adhesive which is protected by an easy to peel paper tabbed backing . This is only available on a selection of thinner magnets and is usually really. Only intended for card or paper crafting because the adhesive works best on card and paper. When it comes to using adhesives with other new neodymium magnets. You need to look for something that is going to work with metal.So traditional PVA glue and hot melt glue is not going to work, the magnets are simply too strong. So looking at adhesives that can work with metals.We’ve had very good results using our two different types of contact adhesives.This one is my current favorite product the serious glue, other brands are available. You just need to make sure it was with metal. You can also use the two-part epoxy resin and our old friend the cyano-acrylic super glue.We tend to use either the contact adhesive or the super glue. We don’t tend to use the epoxy resin very often simply. Because of the fears these two contact adhesives we’ve used. 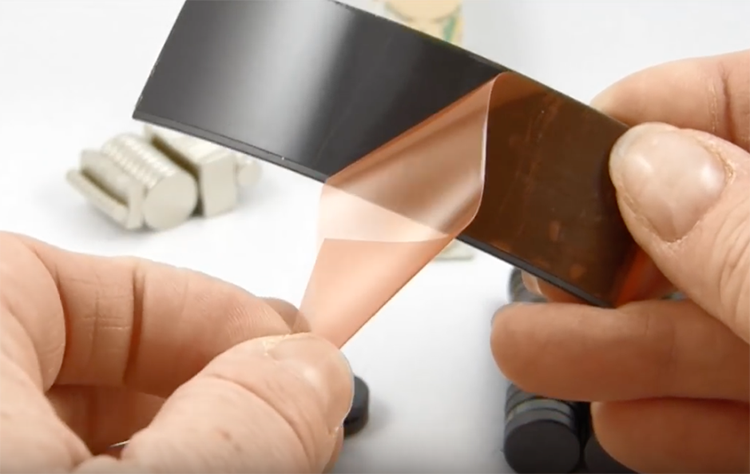 We’ve had great success with both and use them on magnets up to 12 millimeters in diameter by 3 mils thick much bigger than that.And you do need to use an epoxy resin .we’ve also got our glue dots from fantas-tak.